Georgetown Student Mentorship Program (GSMP) mentors taking a break after the GUSOM Day of Service. (August 23, 2018) — Medical students in the Class of 2022 were all smiles as they pulled on their crisp, white coats and recited the Hippocratic Oath for the first time at the White Coat Ceremony on August 3. Yet, what does it really mean to spend late nights in Dahlgren Memorial Library or undergo the first exam block? While it can be hard to face the challenges of the first year of medical school, receiving mentorship and support from other students can make it easier. 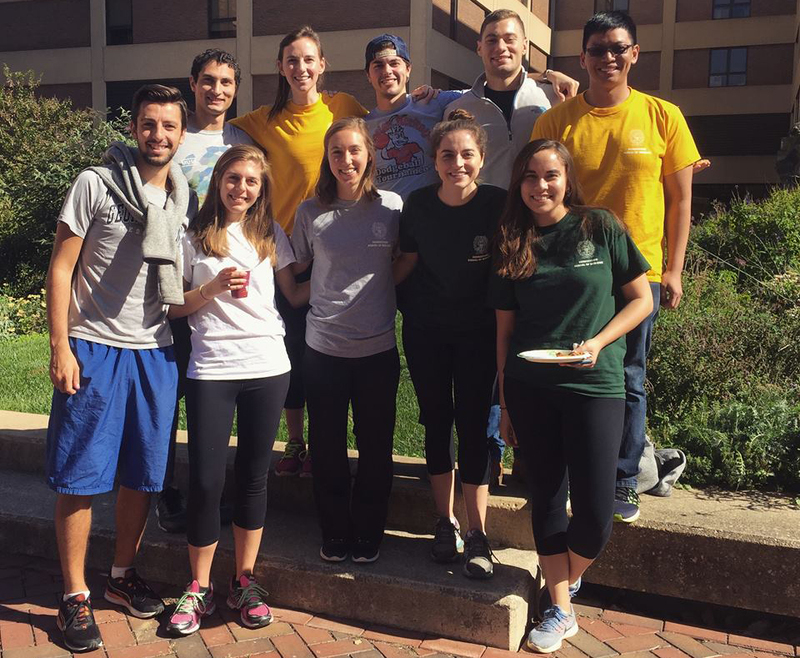 There are several ways to seek out mentorship at the School of Medicine, but the first place one may want to look is the Georgetown Student Mentorship Program (GSMP). In order to receive a diversified mentorship experience, three to four M1s are paired with M2s, M3s and M4s within their learning society. Therefore, a small group of incoming students are able to connect with each other and with medical students at different stages in the process. 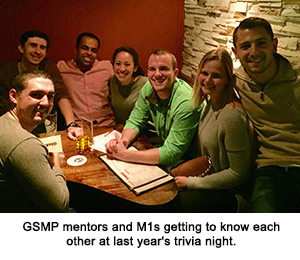 Outside of connecting students, the GSMP also provides workshops and social programming throughout the year for both mentees and mentors, such as hosting a trivia night and requiring participation in the GUSOM Day of Service. In an upcoming academic workshop geared toward M1s, “How To Study In Medical School,” M2s will share three different study methods and helpful resources such as flashcards and study guides that helped them in their first year. 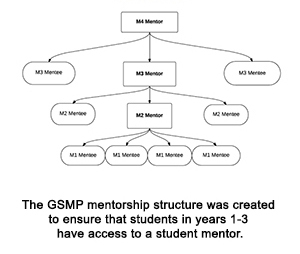 However, there are other ways to seek out mentorship and community at GUSOM. Mark Brahier (M’21) is not officially involved in the formal mentorship program, but has informally mentored students in a number of ways through the HOYA Clinic and other experiences. Brahier also adds that it’s important to find others who share your interests, values and/or learning style. What’s the best way to connect with other students? Brahier recommends a simple solution. Meredith Njus (M’21), a GSMP board member, echoes this sentiment. “When you’re open and vulnerable, you lift each other up. This helps form a better relationship and seek strength in your peers, which can be powerful,” she adds. While these ideas are in their early stages, GSMP is open to suggestions and collaboration from the GUSOM community.